The Confederate privateer Jefferson Davis is now little remembered within the Civil War community, but in the war’s first year, 150 years ago, it was one of the most feared raiders. Preying on Union cargo ships and supply vessels, the Jefferson Davis enjoyed one of the most successful raiding expeditions of any Rebel ship, seizing nine prizes in one outing. Pepe Productions sent me a copy of their fascinating DVD about the history of this ship, which ran aground at St. Augustine Inlet in Florida on august 17, 1861, and was abandoned to the elements. Over time, the shipwreck was lost. The St. Augustine Lighthouse & Museum sponsored a search for the Jefferson Davis, and a crew of divers and marine archaeologists discovered the decaying remains. 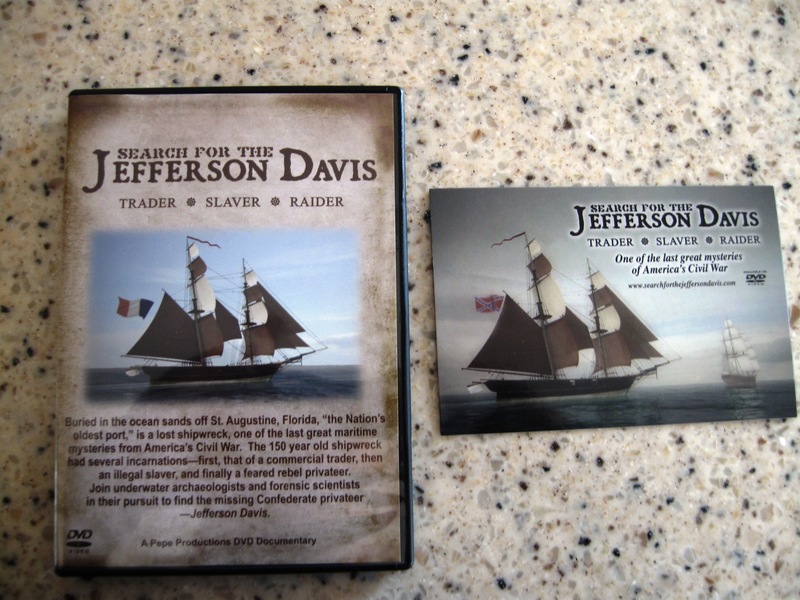 Their 2010 DVD, “Search for the Jefferson Davis: Trader * Slaver * Raider” chronicles that search. The story itself is interesting to any Civil War buff, particularly those who may be naval wargamers or naval history fans. The DVD is well done, with a good storyline and great underwater photography of the shipwreck, despite the poor visibility often associated with St. Augustine’s waters. To view the trailer for this film, visit Pepe Productions’ website and have a look. The would-be mini comes at a time when HBO has continued to find critical and viewership success with miniseries while struggling to mount new, enduring series hits. HBO posted a less-than-spectacular open for its most recent series debut, the heavily marketed vampire drama True Blood, which attracted 1.4 million viewers to its Sept. 7 premiere. It was an anemic debut compared to recent HBO drama premieres including Big Love (4.6 million), Rome (3.8 million) and the failed John From Cincinnati (3.4 million). It also comes on the heels of another HBO miniseries in the American history genre, John Adams, which enjoyed critical and viewership success, and piqued Fontana’s attention. A history buff, Fontana’s historical métier is the American Revolution and the Lincoln assassination. Fontana, in fact, grafted his Lincoln obsession onto one of his Homicide characters. 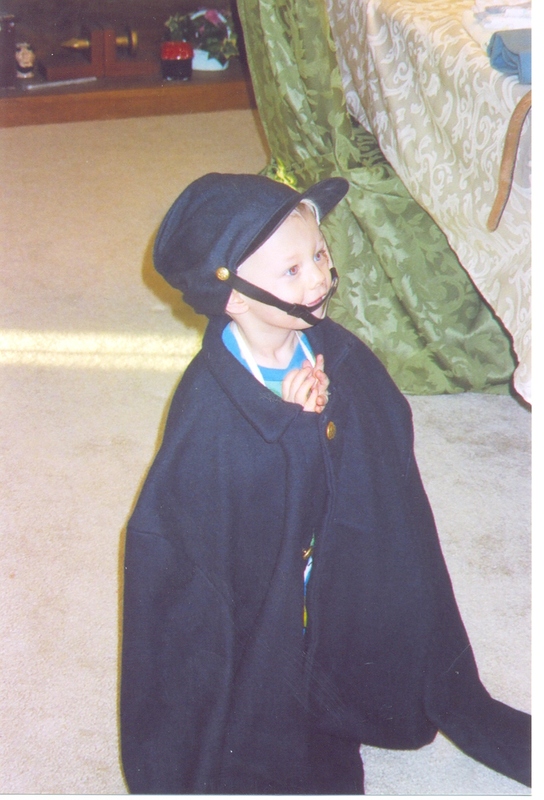 Simon also possesses more than a passing interest in the Lincoln assassination. “So when HBO did John Adams, I was like, ‘What? You did John Adams without me? How is that possible?’” Fontana told B&C. Executives at HBO Films brought Manhunt to Simon, and Simon says he knew whom to call. “I have hundreds of books about the Lincoln assassination,” Fontana says. I looked forward so much to the release of Gods and Generals, which I feverishly hoped was even better than Gettysburg. I saw the trailer at a movie theater here in York PA, and that got my hopes up even further. When the movie came out, one of my sons invited me to see it with him. He was in central Ohio at the time in college, so I drove the seven hours to Columbus, picked him up, and went to a very nice modern multi-plex cinema. The room was packed, and an air of anticipation filled the room. New Civil War movie being released! I grew up in central Ohio in the town of Zanesville, most noted for its unique Y-bridge and as the birthplace of Western author Zane Gray. Not too far away is the city of Newark, Ohio, the birthplace of John Clem (also spelled Klem), one of the 516,000 German-Americans to fight in the American Civil War. 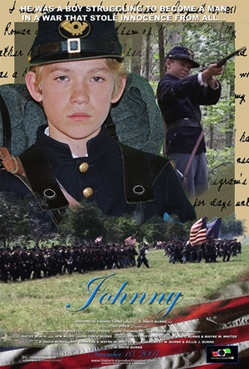 Clem, a young drummer boy in an Ohio regiment, gained national fame as “Johnny Shiloh” and “Johnny Chickamauga.” Years after the war, he became the youngest major general in U.S. Army history.In the 1960s, Disney make a somewhat fictionalized movie based loosely on Clem’s Civil War exploits, entitled Johnny Shiloh. Now, a relatively unknown film company, Historical Productions, has produced a new movie on John Clem’s service in the Union army. The movie trailer can be found at the company’s website. Directed by R. David Burns, this movie at least looks better than the classic Disney flick (at least, it has better reenactors and uniforms!). I have fond memories of the Disney Johnny Shiloh flick from my childhood, although my favorite ACW movies are Glory and Gettysburg. What is your favorite Civil War movie, and why?